After the time has passed come back and click the exclamation mark above your sims head to find one of the dog obedience reward collectibles. 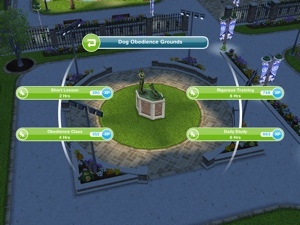 Every time your sims complete one of the dog obedience options their dog obedience hobby level up percentage will increase, once you reach 100% you will level up, there are 6 levels. 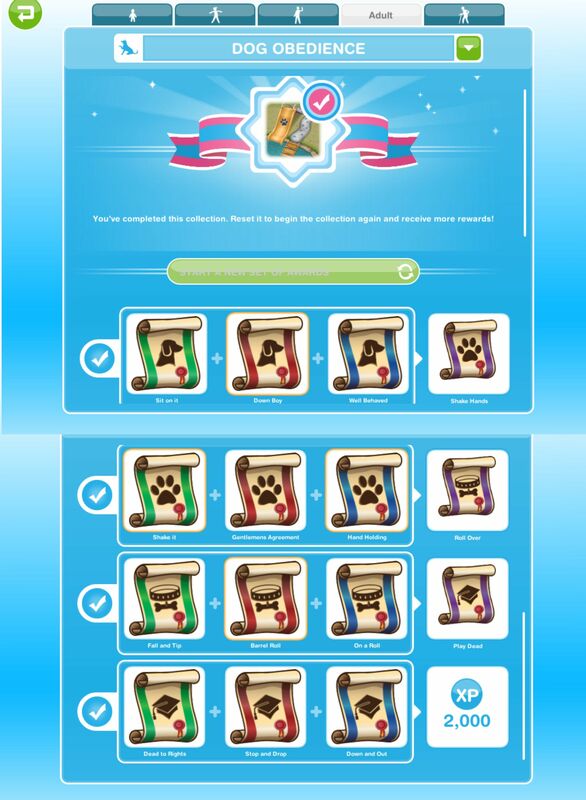 You need to reach level 6 to be able to unlock all of the dog obedience reward collectibles, once unlocked you will be able to find them. Dog Whisperer Stop and Drop and Down and Out are now unlocked in the hobby collection. I just recently started this hobby myself, having just built the pet park. I have 3 adult sims with the Animal Fanatic life orbs (all using the Dog Obedience hobby as their life dream) working round the clock with three dogs to finish this. I have wondered just how many sims can do this particular task at one time? I have tried 4 at once. It looks like there is room for quite a few in the area. I know the most you can bring to a place are 10 sims. How many did you use to complete the hobby the first time? (On another hobby topic, I have 1 sim juggling and 1 sim surfing. 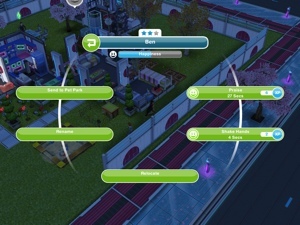 The maximum sims allowed to do each of those tasks is 1 at a time. I think it would be helpful if you added this kind of info. to your blog. I think you have before. The salsa dancing one helped me a lot: 2 pairs of sims. Like you can use 4 bowlers at a time in the bowling hobby, 1 in the catwalking hobby, etc. Four in figure skating…I think.) I don’t want you to mess up your sims’ hobbies trying to figure this out. Any information you can give me is useful. Maybe I spent too much time thinking about this. I try to get these hobbies completed as efficiently as I can with the amount of sims that I have. Thanks for all the info. you’ve given on this topic. I will save up my SPs now for this prize. I tried to complete this hobby with two sims and it was a nightmare, it kept glitching but it meant that I didn’t try with more sims so I have no idea how many you can use, sorry. I’ve had glitching problems myself with it. Sometimes I click on all the exclamation marks over their heads at the same time and it kind of fogs over on one or two, and I end up not being able to get that reward. I’ve since started clicking one at a time (allowing time for the reward to pop up) and then click the next, and that has helped. It’s no problem. I was just curious. Ok, I’m still having problems with glitching and I think the dogs are the cause. They act according to their own free will. They sometimes stop doing the requested task. Today I clicked and got a reward, only to have that dog run towards another dog and that one caused the other two rewards to glitch out. Like when a sim plays frisbee with a dog, sometimes the action will just stop because the dog decides it wants to go dig buried treasure, eat, drink, use a dog house, or run free. It was (STILL IS) especially annoying if you have assigned sims to this specific task to earn life orbs. The pets need to be fixed. You can have at least 8 sims do this hobby. I couldn’t check to see up to 10 Sims as I ran out of dogs and free sims. It appears there is room for 10 Sims to perform the Dog Obedience Hobby, but I only was able to check to 8 Sims. I haven’t done this hobby yet, so the information is great to have! All of my pet hobby sims are currently doing the wear out the dog frisbee and obsessive cat stroking hobbies because I’m working on platimum orbs to get some permanent sims in my town of varying ages so I don’t have to skip toddler, preteen and teen tasks in the weekly and social tasks. I’d like to do this one for fun once I’ve finished them up. Have you done the Dog Agility hobby yet? I can’t find a post about it and I’m struggling with it. Any help would be appreciated! I hate how the other orbs which have job life dreams have tons of life dreams to choose from while Animal life dreams only have a handful of options, one of them requiring you to buy from their online store. And it’s very hard to have tons of animals since they cost LPs. They could have at least included an option where it can be fulfilled by everyday objects that can be found around the town. 🙂 Just wanted to vent here. There’s really nothing that can be done unless EA adds more life dreams to the game. have you tried restarting your device and trying again? Hiya! 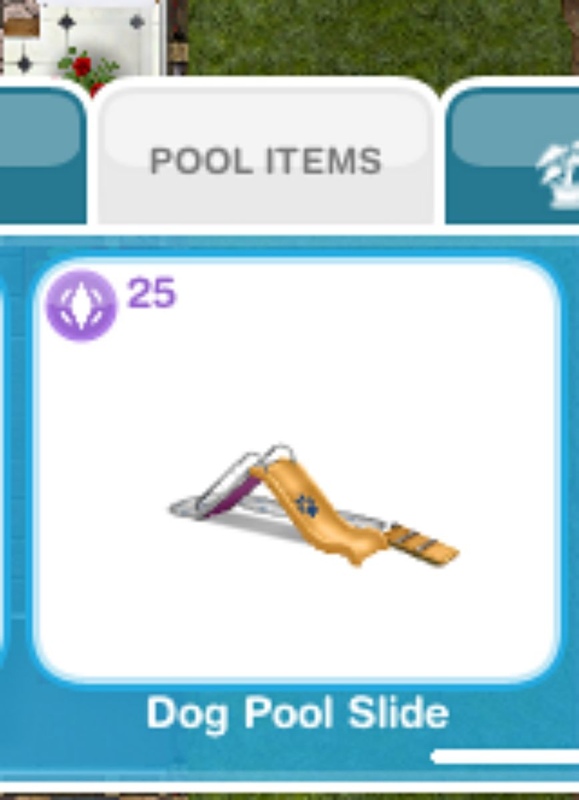 Have you unlocked the dog agility hobby? I’ve just built it at the pet park but when I try to get my sim to do it they keep getting the blue footprints above their head. I have the dog there with the collar and I’ve tried attempting it once my other sims have finished the dog obedience but nothing seems to work. I don’t know if I’m doing something wrong or if the game is glitched or what! I am completing it right now, I haven’t had this issue though, it tells me a lot that there isn’t a dog free when there is but I just keep selecting the option until it works so that might work for you? When I try to buy a collar at the pet store it takes my money but the collar doesn’t show up in my dog… I’m so confused!